Bisschop Gerard de Korte laat weten dat hij vandaag couscous at. “Bishop Gerard de Korte lets it be known that he ate couscous today.” As far as tweets from official diocesan accounts go, this must be one of the oddest. But it is not without reason, as it is a jocular comment in the debate that has erupted following the latest racist comments from politician Geert Wilders’ followers. Following the municipal elections on Wednesday, Wilders asked his audience whether they wanted more or less Morrocans in the Netherlands, to which they shouted, “Less, less!” Wilders’ party, the PVV, already lost several members of parliament over the incident, and more than a few bishops have been uncharacteristically vocal in their opposition to this expression of overt racism. 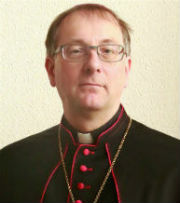 As the Council of Churches announced an upcoming ecumenical service to emphasise that they are for “more”, not “less”, the Catholic Church in the Netherlands also stated they would send representatives, Bishop de Korte of Groningen-Leeuwarden and Father van der Helm of the Diocese of Rotterdam, to that service. The bishop also declared that among Christians “there can be no room for racism and discrimination”. A force to be reckoned with for those with differing ideas, Juan Cardinal Sandoval Íñiguez marks his 80th birthday today, leaving 113 electors in a College of Cardinals numbering 206. The Mexican prelate was born as the oldest of 12 children (of whom nine survived into adulthood). As a 12-year-old, young Juan entered seminary in 1945 and eventually found himself in Rome. There, he was ordained a priest in 1957, and he also earned a degree in philosophy and a doctorate in dogmatic theology from the Pontifical Gregorian University. 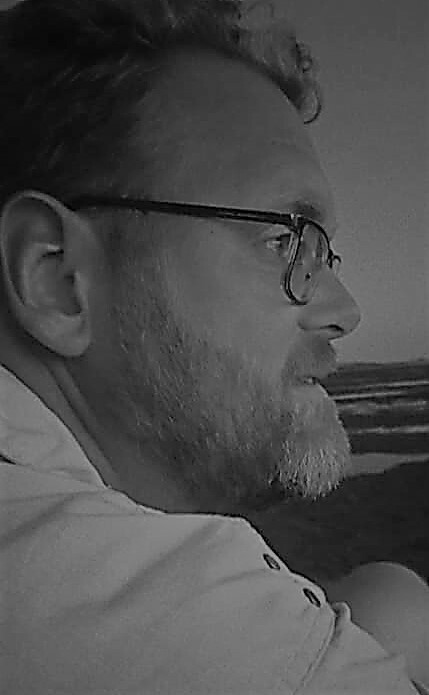 Returning to Mexico in 1961, Fr. Sandoval started a career at the seminary of Guadalajara, first as spiritual director, and later as teacher, prefect and eventually, in 1980, as rector. He also served as a member of the Presbyteral Council and Clergy commission of the Archdiocese of Guadalajara. In 1988, he was appointed as Coadjutor Bishop of Ciudad Juárez, serving with Bishop Manuel Talamás Camandari, who retired in 1992. Bishop Sandoval then became ordinary until 1994, which means he spent more time in Ciudad Juárez as coadjutor than as ordinary. In 1993, Archbishop Juan Jesús Posadas Ocampo of Guadalajara had been murdered in either a drug gang shootout or a politically motivated assassination, and Bishop Sandoval was appointed to succeed him. In the same year as this appointment, Archbishop Sandoval was created a cardinal, with the title church of Nostra Signora di Guadalupe e San Filippo Martire. Cardinal Sandoval was no unknown in Rome, being appointed as Relator general of the Special Assembly on America of the Synod of Bishops in 1997, and President-delegate of the 11th Ordinary General Assembly of the Synod of Bishops on the Eucharist in 2005. In Mexico, Cardinal Sandoval often appeared on television, teaching the catechism on a national Catholic network. He also caused ripples in the political scene, being the subject of an investigation into alleged financial misdemeanors and being charged with defamation of character when he accused a politician of accepting money for supporting the pro-gay marriage agenda. Cardinal Sandoval was rarely know for being subtle, ruffling the feathers of Protestants, women and homosexuals while pointing out serious problems relating to these groups. And sometimes he simply said things he shouldn’t have said. Cardinal Sandoval was a member of the Congregation for Institutes of Consecrated Life and Societies of Apostolic Life, the Congregation for Catholic Education, the Pontifical Council for Culture and the Pontifical Commission for Latin America. The Michelle Martin case – Christian charity? Over the past days there has been much talk about the suggested early release of Michelle Martin, the ex-wife of Belgian child molester and murderer Marc Dutroux. Convicted in 2004 of complicity in the abuse and death of two of Dutroux’ victims, she was sentenced to 30 years of imprisonment. Now, after having served 8 of those years, and having served 8 more years before her conviction, she is up for early release. Although this yet needs to be granted by a judge, a community of Poor Clares in Namur has indicated that Martin can take up residence with them following a future release. 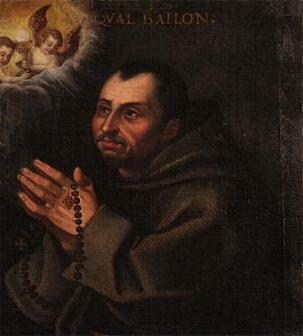 After much deliberation the Poor Clares of Malonne indicated two conditions. First, that the current administration of justice is fully respected, and, second, that Martin shows true progress and is able to fully commit herself safely and with the slightest chance possible for recidivism. Following all this, there have been protests at the monastery, and altogether too many tasteless accusations that linked Martin’s crimes to the sexual abuse crisis in the Church (and, in extension, Catholics in general are made suspect). The Poor Clares’ decision to display such enormous hospitality, although it befits their vocation, is presented as if they condone the crimes and, in fact, made the decision to release Martin themselves. The latter is up to a judge to decide, and the former is, frankly insulting. The sisters of Malonne have nothing to say about the administration of justice. Go protest at the courts of law if you are against the early release of Michelle Martin. There is nothing the Poor Clares can do about it. What they can do is provide a safe house for a person who, according to the law, paid for her crimes. A house safe for her and which makes her safe for society. Mother Abbess emphasised that Michelle Martin will not become a sister or join the religious community in any way. She will be provided with food and lodging and required to contribute to her own life. She is kept away from the site of her crimes (the Belgian provinces of Limburg and Liège have been declared off-limits to her). Is this a matter of justice? Not in the sense that Michelle Martin has avoided punishment for her crimes. She has served the time the law requires of her. Whether or not we believe that that time has been too short is of no matter when looking at the case from a purely legal point of view. The Poor Clares in Malonne, in going through the effort of housing Martin, go beyond the precepts of the (secular) law, providing for these thoughts that, somehow, she hasn’t paid enough for her crimes. Michelle Martin is kept away from where she could, in theory, do harm or cause scandal. This is not condoning misdeeds, but providing for the best solution for both Martin and society. To somehow twist this into an accusation against the sisters and Catholics in general is something I consider gravely insulting. Posted on August 4, 2012 Categories Catholic Church in BelgiumTags crime, law, marc dutroux, michelle martin, poor clares, sexual abuse4 Comments on The Michelle Martin case – Christian charity? Msgr. Charles J. Scicluna, the Maltese prelate who, more than anyone else, is in the forefront of the fight against sexual abuse of minors in the Church, announced yesterday that about half of the world’s bishops’ conferences have responded to a request from the Holy See to send in their guidelines for fighting the sin and crime of sexual abuse within their respective jurisdictions. After summer, the promotor of justice said, these guidelines will be studied by the Congregation for the Doctrine of the Faith, while those conferences who have not yet responded will be sent a reminder to do so. 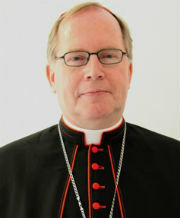 All this in an effort to draft a unified response on the part of the Church and an assurance that, wherever in the world the crime takes place, the response and consequences will be the same, including a close cooperation with civil authorities, with the Church always emphasising a victim’s right to report a crime to the police. As to which conferences have and have not responded, that remains anyone’s guess, although I think it is a near certainty that the Dutch bishops have sent in the measures taken here. Following the review in Rome, suggestions for additions and revisions will be sent back. Various other news sources have already reported about the conclusion from an investigation into a series of unexplained deaths of young boys at a Catholic institute (pictured) for mentally handicapped boys in the 1950s. It is a story of people not taking responsibility, both in the institute, the Diocese of Roermond and the Labour Inspection office of the government. The guilty party has been identified as one Brother Andreas, now deceased, who was not qualified to treat the boys in question, but the medical doctor and rector of the institute, which was run by the Brothers of Charity, also must be considered (partly) responsible. The same may also go for several diocesan officials, who ordered a limited investigation, but decided not to do anything with the results. Following the extensive investigation into sexual abuse of minors in the Catholic Church in the Netherlands, conducted by the Deetman Committee, the Public Prosecutor started an investigation into what happened all those years ago. No one involved, alive or not, can be legally prosecuted because of the passage of time. The Diocese of Roermond has taken notice of the results of the Public Prosecutor’s criminal investigation concerning the St. Joseph’s Institute in Heel in the 1950s, released today (Thursday 28 June). The report’s conclusion are considered as shocking. The diocese finds it inexplicable that the diocese made no report to the authorities and regrets that the investigation did not clarify the motives. Nevertheless, the fact that all means were used to reach a balanced perception of the events at the time is laudable. The diocese especially wishes to pay attention to the suffering of the victims and the sorrows of their relatives. The Conference of Dutch Religious released a more extensive, if broadly similar press statement, adding that no further investigation will be undertaken into the actions (or lack thereof) of the medical doctor and others involved. In a way that’s understandable, since none of those people are alive today, but I can’t help thinking that this Brother Andreas is presented as a scapegoat. But consider his membership of the Brothers of Charity and his function with the institute, there are superiors who must share in the responsibility.